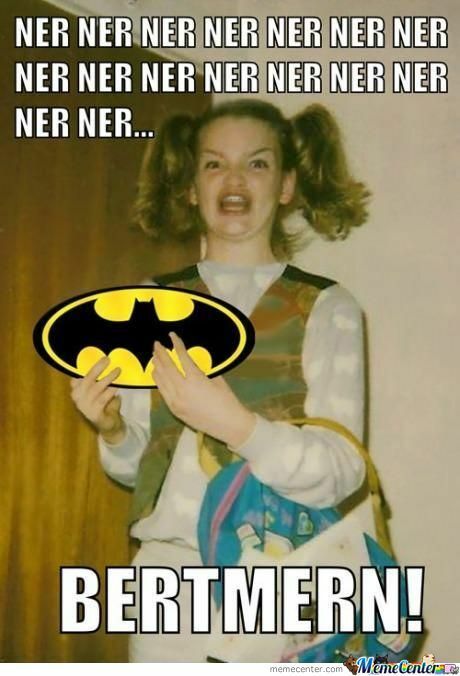 You know, in my whole life, never have I ever said ermahgerd. Especially in regards to anything Bertmern! Erm, Batman. Even though this meme has been around forever, this particular one made actually made me snort. Sort of like a chuckle, snort, chuckle. Going back to a prior entry, this meme has had a couple people claim to be the girl, but no one knows for sure who she is. Maybe she’ll comment on Laughshop and tell us? Maybe?